Morning peeps! Have you catch “Justice League”? Whoa!! I’m still talking about it… believe it.. haven’t got this kind of “shiokness” for so long. Be sure, to catch it! 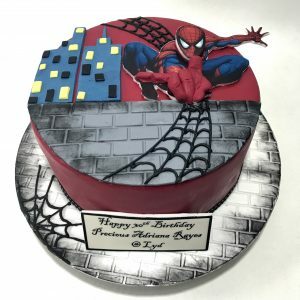 Sharing my Marvel Superhero cake here. For die hard SPIDEY fan. So Long….